There are several layers to this story. First, the name Aloha Poke does exist elsewhere—a Singapore restaurant shares the same name. And it sounds like Aloha Poke wants to prevent other poke shops from using “Aloha” in its name, and not outright ban Hawaiian businesses from using it (as was suggested on social media). 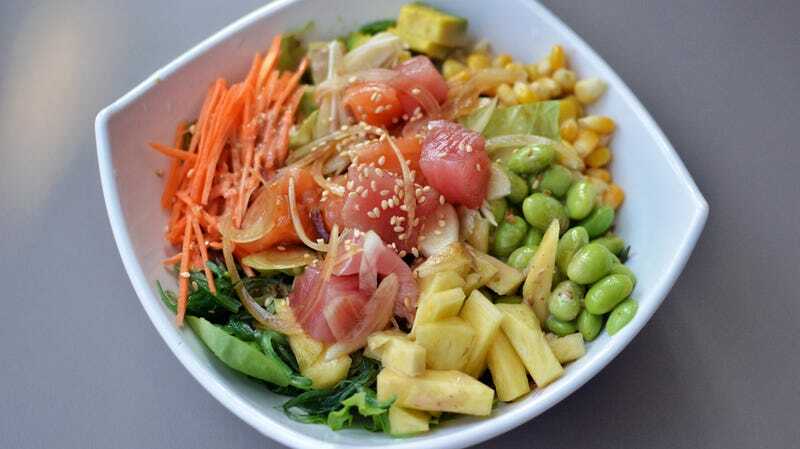 “There is zero truth to the assertion that we have attempted to tell Hawaiian-owned businesses and Hawaiian natives that they cannot use the word Aloha or the word Poke,” the restaurant wrote on its Facebook page today. As with any restaurant that makes the news for unsympathetic reasons, the first the business feels the brunt is in online reviews. Aloha Poke has been hit with a steady stream of one-star reviews on Yelp, to the point Yelp has stepped in and intervened.